Description: Join us on Saturday, March 3, 2018 for Hoover’s 20th annual Arbor Day celebration. 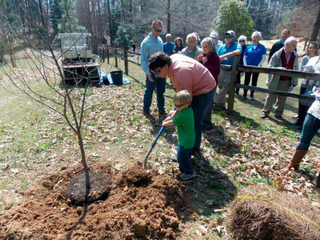 Event includes FREE TREES for Hoover residents, a formal Arbor Day ceremony, recognition of Hoover Schools' 4th Grade Arbor Day Essay Contest winners, and a ceremonial tree planting. In addition, our Roots Gift Shop will open at 9:30 a.m. and plenty of food and drinks will be available from local sponsors. The festivities start at 9:30 a.m. and end by 11:30 a.m. Come show your support for Hoover’s most valuable natural resource!